There is something that scares me to the depths of my soul. What scares me is knowing that there is a deep dark shadow side within myself capable of enacting evil and unspeakable acts. This is the same shadow side that haunts many of us. In August 14-20, 1971, Stanford University conducted an experiment known as the Stanford Prison Experiment (SPE). It was an attempt to investigate the psychological effects of perceived power, focusing on the struggle between prisoners and prison guards. The line between good and evil is razor thin. You and I are both capable of heinous crimes toward humanity. The assaults we can commit on each other are unthinkable. Unbelievable. You and I don’t think we could ever commit ourselves to inflicting harm on another person. We decree daily our resolve to help our fellow man and stand up for the down and trodden. It is easy for us to declare what we would never do. No one has ever ordered us to kill another person in exchange for our own. The Jewish Holocaust that took place is not the only travesty to have happened in this past century. There have been many genocides. The world stood by and did nothing. The Cambodian Killing Fields is another incident that took place and the world stood by and did nothing. The UN knew, stood by and did nothing. All my life I had heard about “The Killing Fields”. The movie was release in the 80’s and I had watched it twice since. But it was never real to me. That is until this recent trip. The darkness and shadows that exist in each of us confronted me. I had to acknowledge it, and stare into the inner ugliness. I had to acknowledging those deep and dark parts of myself. 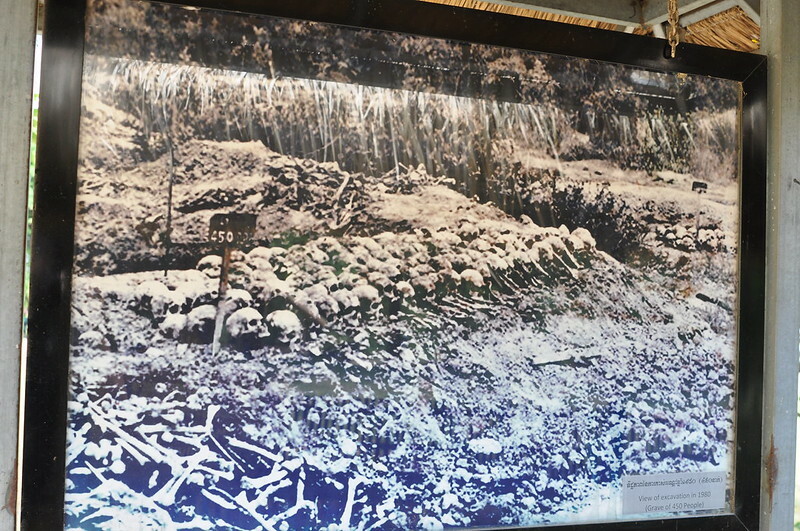 With this in mind and heart to you, I present my experience and history of The Killing Fields. Those were the words uttered by the surviving Jews and the world of supporters at the end of World War II. A horrified world reeled at the sheer cruelty the supporters of Hitler not only dished out, but how effectively they were able to exterminate so many Jewish people. Only they have. We have. The world has. We may not have forgotten about the Jewish Holocaust, but we have forgotten about others. And have allowed many to take place since. More, we have been the architects for so many others to take place since then. One of the most forgotten genocide took place in a small southeast Asian country called Cambodia in the late 1970s. A horrific event took place killing an estimated 3 million people that the world has nearly forgotten. Where does the real story begin and where does it end. One thing is for certain, the story has not ended. The effects of the Cambodian Holocaust still linger in the air and affect the hearts of many. One thing you don’t really see is many elderly people in the streets or markets. Much like the Japanese prison camps set up in the USA in World War II after the attack on Pearl Harbor, the 10 year campaign and policy to decimate Cambodia is another dark part of US history that, to this day, has never been apologized for. In the 60’s, communism was enemy #1 and the U.S. and her citizens were terrified of it. Fear makes us do crazy things. We act irrationally when we have fear without ever thinking of the consequences. The U.S. policy to bomb Cambodia was just that. The ending of the Vietnam War in addition to the decimation of Cambodia by the USA, the fertile ground was laid for a dictator to rise up and take over. And that dictator’s name was Pol Pot. “As the Khmer Rouge began to pose a real threat to the Nol government in 1971, the U.S. motive for the bombings shifted from wanting to eliminate North Vietnamese bases to wanting to eliminate Nol’s internal opposition: Pol Pot’s Khmer Rouge. Ironically and unfortunately for the U.S., these bombings, that were meant to destroy the Red Khmers, directly led to their rise to power. By 1973, the U.S. conducted air raids close to Phnom Penh and increased the bombing to 3,600 tons per day, killing roughly 3,000 civilians. Nol had requested the bombings in his struggle against the Khmer Rouge in the Civil War, and later the CIA learned that many of the sites Nol requested to be bombed were merely political sessions in small villages. In total, the American bombing of Cambodia resulted in the deaths of over 150,000 Cambodian civilians, most of whom lived in the countryside. The bombings not only drove ordinary citizens into the hands of the brutal Khmer Rouge, but they also drove North Vietnamese troops deeper into Cambodia, into closer contact with Cambodian civilians. There, the North Vietnamese troops most likely shared their anti-American sentiments and influenced Cambodians to join Pol Pot. Before the bombings, the Khmer Rouge was barely a legitimate political group, and as Pol Pot himself stated, they were, “fewer than five thousand poorly armed guerillas… scattered across the Cambodian landscape, uncertain about their strategy, tactics, loyalty, and leaders.” But as the bombs continued to fall, Pot and the Khmer Rouge jumped at the opportunity to use the American carpet-bombing as a source to recruit new members, and the CIA soon learned, as their main source of propaganda. Thus Pol Pot’s rise to power was easy and seamless. Many Cambodian peasants were weary of the USA’s brute and unwarranted force of power. Pol Pot made them believe that a USA invasion force was coming. 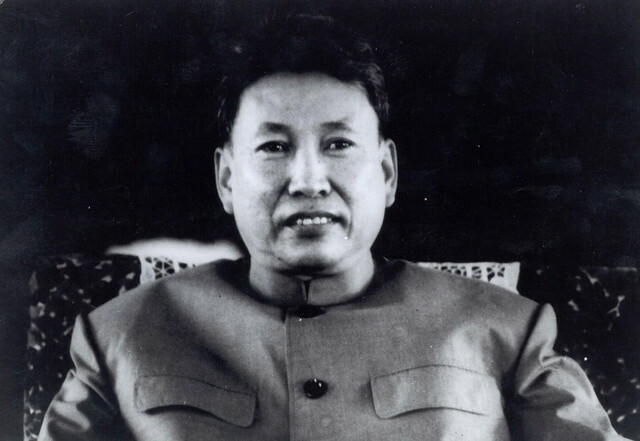 “Pol Pot (1925-1998) and his communist Khmer Rouge movement led Cambodia from 1975 to 1979. 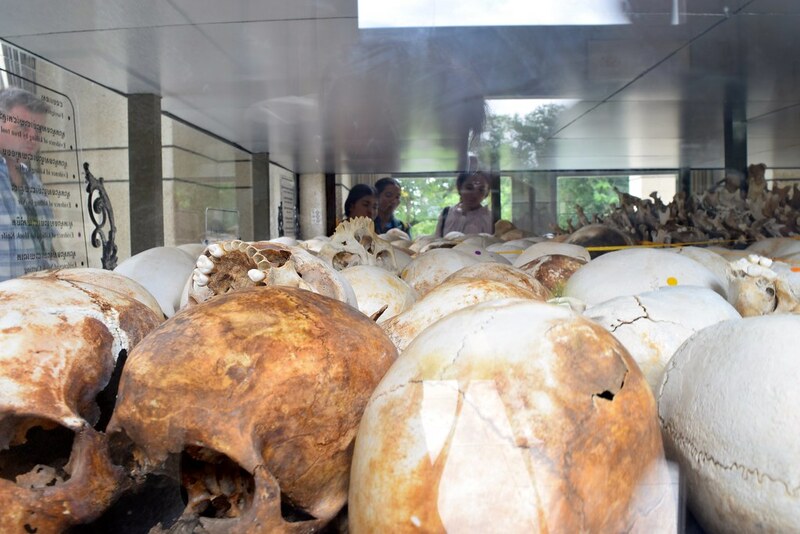 During that time, about 1.5 million Cambodians << the number 3 million was given in The Killing Fields Memorial >> out of a total population of 7 to 8 million. They died of starvation, execution, disease or overwork. Some estimates place the death toll even higher. One detention center, S-21, was so notorious that only 7 of the roughly 20,000 people imprisoned there are known to have survived. The Khmer Rouge, under Pol Pot’s direction, attempted to socially engineer a classless peasant society. They took particular aim at intellectuals, city residents, ethnic Vietnamese, civil servants and religious leaders. 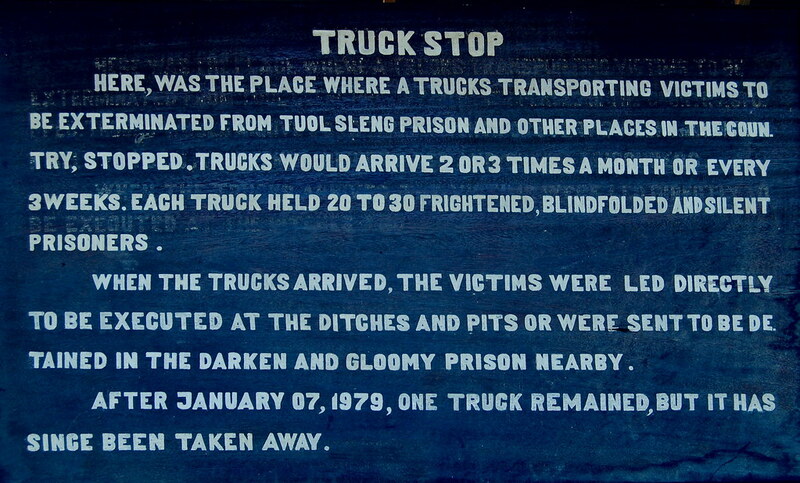 Additionally, the Khmer Rouge systematically started rounding up anyone suspicious and took them to the Killing Fields. This meant that if a mother suspected of being against the state, the Khmer Rouge would arrest not only the mother, but the father, and all the children as well. They might have even arrest other family members as well. Children of falsely accused mothers were put to death for this reason. Soldiers held babies by their feet and smashed them against the tree until they died. They were then flung into a massive grave. 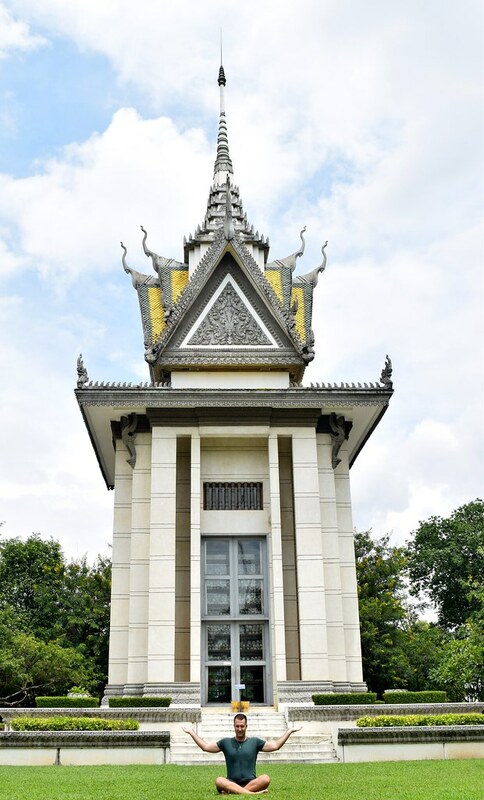 The Killing Fields located in Choeung Ek is a short drive outside Phnom Phenn. Upon arriving, you have this feeling of people watching. The soul’s of thousands staring up at you from their unmarked and abandoned graves. A large sign greets yous upon your arrival. The guide on the audio recording tells you that with every big rain, more bones of those slaughtered would surface. On the final leg of the “tour” at Choeung Ek, I stepped inside the stupa, built to house the bones of the victims of the Killing Fields. 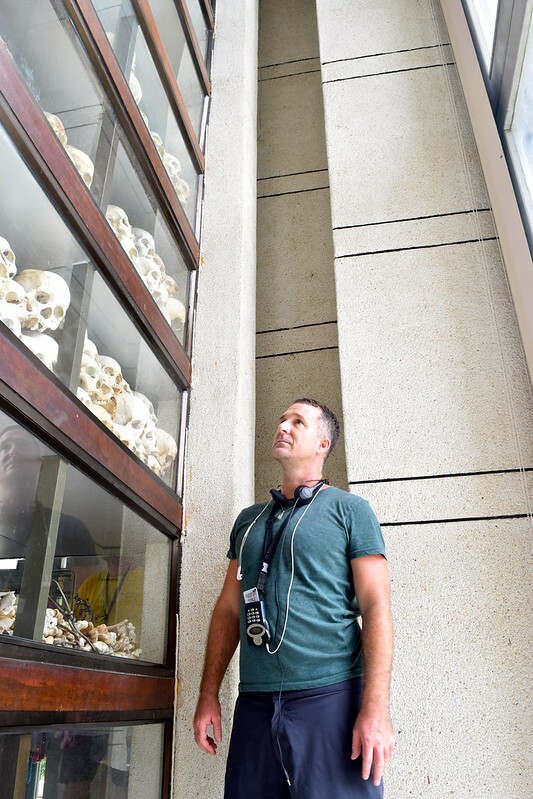 A glass case with 4 sides round and 17 levels tall, the first 9 housing over 5000 human skulls. 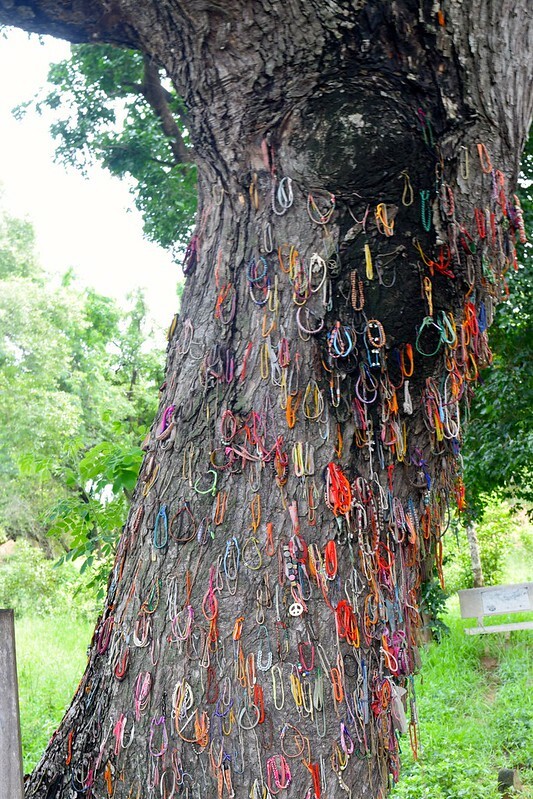 “I spent the day at The Killing Fields Memorial of Choeung Ek, Cambodia near Phnom Phen. There I saw with a heart filled with great sadness. We have and continue to inflict incredbile ill will towards each other. I see so much fear growing. Fear that turns into hate. Hate that turns into violence. And violence only perpetuates more violence. Sitting in front of this sacred Memorial, the words of German ambassador Baron Van Marshall rung in my head. “This Memorial reminds us to be wary of people in political regimes which ignore human dignity. No political goal or ideology, however promising, important or desirable it may appear can ever justify a political system in which the dignity of the individual is not respected. After visiting the Killing Fields in Choeung Ek, I returned back to Phnom Penh and visit of of the only remain prisons called S-21. 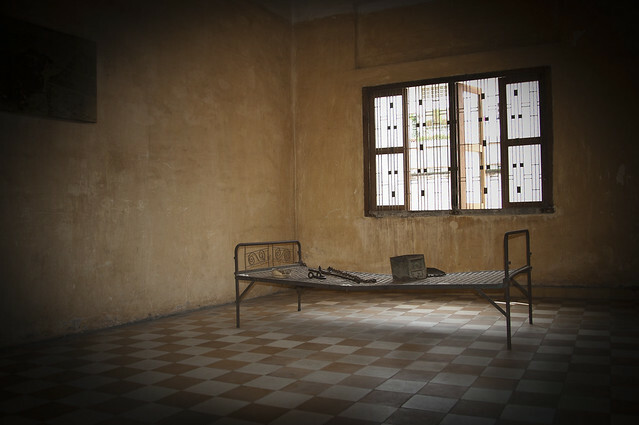 S-21, once know as Taol Sleng, was a secret prison in Phnom Penh from the middle of 1975 until the end of 1978. Taol Sleng was once a suburban high school on the outskirts of Phnom Penh. The Pol Pot regime turned into the S-21 interrogation center. 50 soldiers guarded the prison. A corrugated tin fence and two barbed wire enclosures surrounded it. Those who were accused of treason were brought to S-21 with their families and were photographed when they arrived. These prisoners were brutally tortured until they confessed to whatever crime they had been charged with and were executed shortly thereafter. 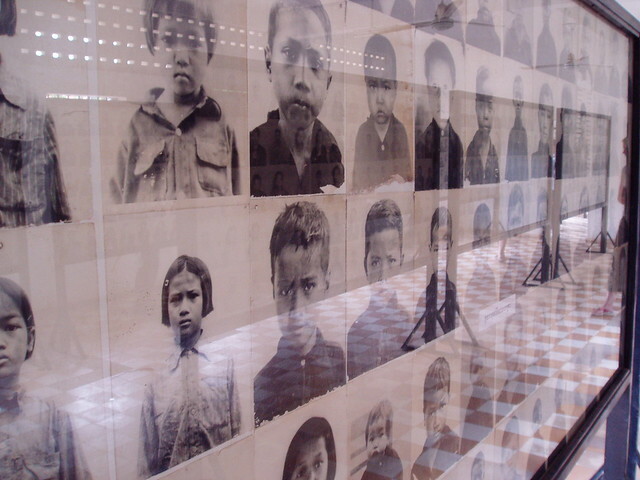 The photographs and confessions were submitted to Khmer Rouge authorities as proof that the “traitors” had been eliminated. All these men, women and children suffered brutal torture and interrogation. Sometimes lasting for months. And finally, they were all put to death. Only six prisoners survived out of the 17, 000 people known to have been in S-21. The hunger and lust for power is great. But the drive for self preservation is also great. So many times in history there seems to be those moments when each of us has to face this decision. I believe that each person who goes there, faces this dilemma. How did we arrive here? How do we never arrive here again? Robert Hamill, spoke at the trial of Duch in 2009, an officer of S-21 who was responsible for the savage torture and death of over 20,000 innocent people, including his own brother, Kerry Hamill. During the trial Robert Hamill wore his heart on his sleeve and did not hold anything back when he spoke to the court. “Time is a very very slow healer,” he said. “Duch, at times I’ve wanted to smash you, to use your words, in the same way that you smashed so many others. At times, I’ve imagined you shackled, starved, whooped and clubbed viciously, VICIOUSLY. I have imagined your scrotum electrified, being forced to eat your own faeces, being nearly drowned and having your throat cut. I have wanted that to be your experience, your reality. 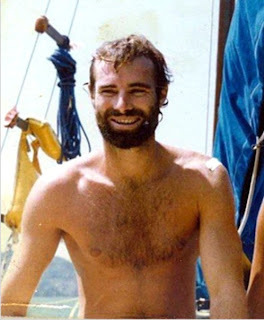 I have wanted you to suffer the way you made [my brother] Kerry and so many others. However, while part of me has a desire to feel that way, I am trying to let go and this process is part of that. Thank you for that. Today, in this courtroom, I am giving you all that crushing weight of emotion: the anger, the grief and the sorrow. I am placing this emotional burden on your head. For it was you who created this burden, which no one deserves. It was you who should bear the burden, you to suffer, not the families of the people you killed. From this day forward, I feel nothing towards you. To me, what you did removed you from the ranks of being human. Finally, in 1979, an invading Vietnamese army deposed the Khmer Rouge. Despite years of guerrilla warfare, they never took power again. Although they tried. Remember the faces of these victims. Etch them into your mind. I repeat the words and prayers uttered to be by the Cambodian people. Please do not forget our history. Please do not repeat this history ever again. 1. To be always grateful for whatever abundance we have in our life. 2. To practice kindness and goodwill in our own lives. 3. To stand up to evil when it presents itself. 4. To stand up against evil in all forms. 5. 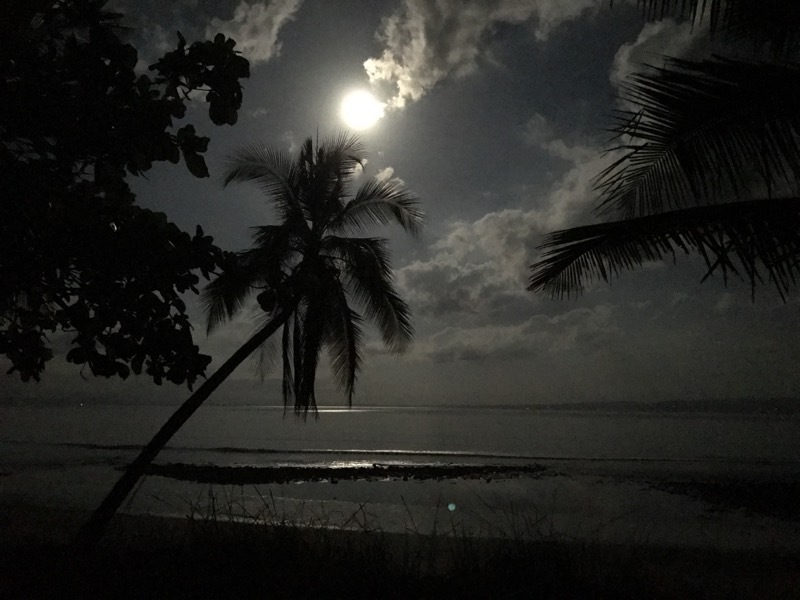 To be a perpetual light that shines in all of the dark corners of our own humanity. 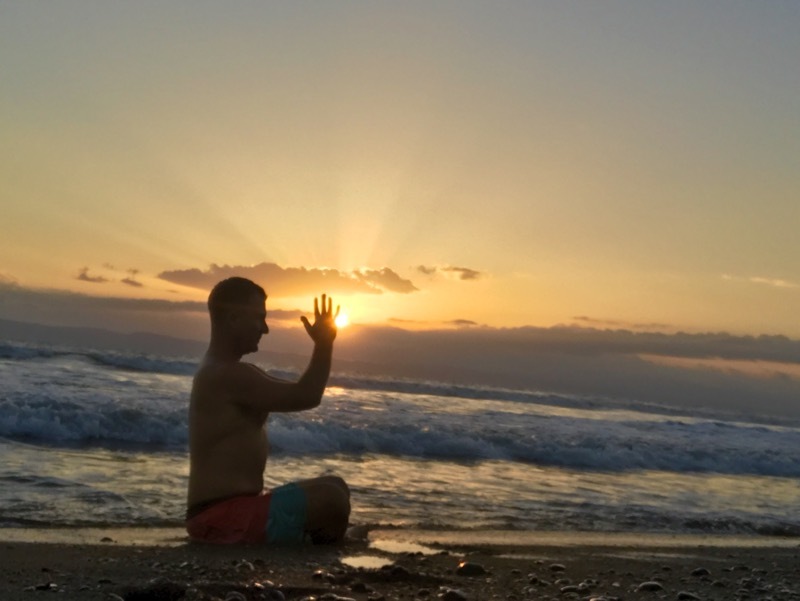 Everyday my spiritual practice challenges me to be better. To witness my own inner ugliness. To test the strength of my own will and practice humility. I am humbled by all those who went before me and suffered by those who forgot their humanity. We must hold onto to our humanity with sacred vigilance. 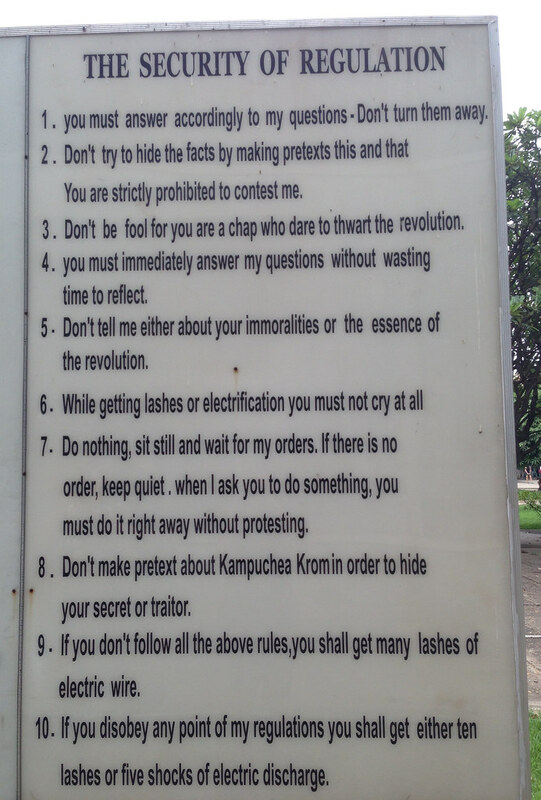 Please visit the museum in Phnom Penh. It is worth the visit.